In Bethesda’s press conference at E3 2018 today, they announce that Elder Scrolls Legends will be coming to Xbox One, PS4 and Nintendo Switch. 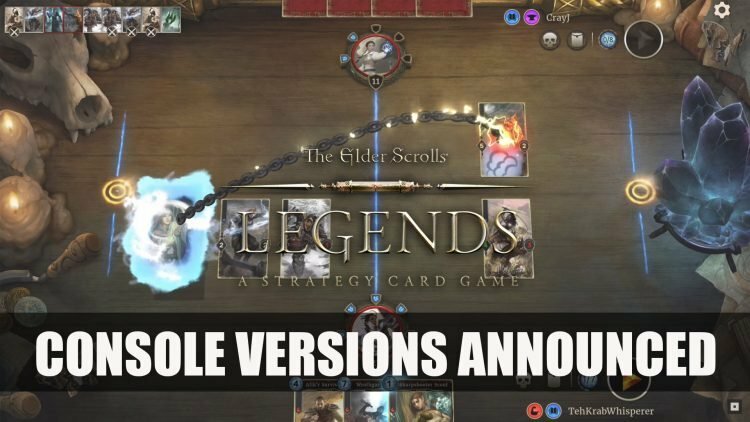 Not only will Elder Scrolls Legends be coming to all platforms but players will be able to carry over their progress on either platform. At E3 today, Bethesda announce that they will be bringing the strategy card playing game to Xbox One, PS4 and Nintendo Switch. The Elder Scrolls: Legends launched in March 2017 on PC, while the Mac, iOS and Android version shortly followed. Elder Scrolls Legends is currently available to play on PC, Mac, iOS and Android. The console versions will be made available later this year. If you enjoyed this article you should definitely check out Two New Elder Scrolls Legends – Houses Of Morrowind Cards Revealed and Elder Scrolls Legends Decks: Crusader (Nordic Fury) guide.